Venous Insufficiency: A Common Cause of Leg Pain - Piedmont Physical Medicine & Rehabilitation, P.A. While most people think of joint disease or injury, muscle, tendon, and ligament strain, or back or leg nerve irritation as the most common causes of leg pan venous insufficiency can also be a common culprit. 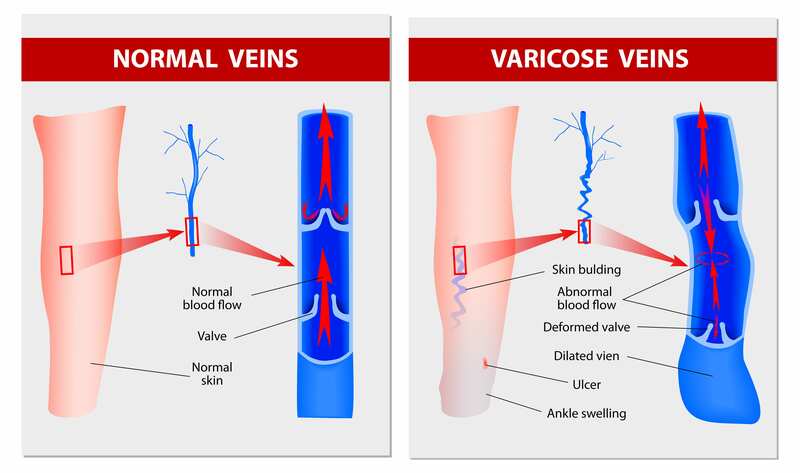 Venous insufficiency stems from damage to the valves and the walls of the veins itself. Veins are very elastic (to assist in storing the blood until the heart is ready to pump it) and have special valves that prevent the blood from flowing backwards. When the valves or the vein walls are damaged, blood can pool in the extremities; this almost exclusively occurs in the legs due to the added effect of gravity pulling blood away from the heart. It is characterized by swelling, burning, itching, or skin color changes of the legs. Those affected may also notice their legs feel heavy, tired, restless, or achy. Chronic venous insufficiency (CVI) can also be associated with varicose veins. 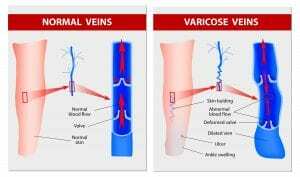 Varicose veins are swollen, twisted, blue vessels that are often visible through the skin. They can lead to rashes, redness, sores, and, in more severe cases, ulcers in the lower leg. Treatment and prevention of CVI stems from the way leg muscles compress the veins in the legs to help propel blood along back to the heart. When a person sits or stands motionless for a long period of time, this allows the blood to pool and can damage the veins, leading to CVI. Piedmont Physical Medicine & Rehabilitation P.A. offers treatments involving the use of compression stockings, leg elevation, supplementation or medication to improve limb blood flow, and restoration of joint function of the supporting limb to improve function to provide a healing path toward relief. While more severe cases may require anti-coagulation medication in the form of daily injections if caught early enough special supplements that break up tiny clots on the vein walls and valves can improve vein function, reduce swelling, and decrease pain dramatically Bolouke (Lumbrokinase), an enzyme derived from earthworm extract that helps to break down fibrin clots that may develop on the vein walls in insufficiency cases, is an example of such a supplement. Any treatment program for venous disease must take into account the whole person and their other medical conditions so before starting something like Bolouke it is always a good idea to see a doctor first. If you have varicose veins, limb pain associated with swelling, restless legs, tightness or cramping in your legs and are looking for relief please call our office at (864) 235-1835 to set up an appointment. We will be happy to see you. Our job is to help what hurts.